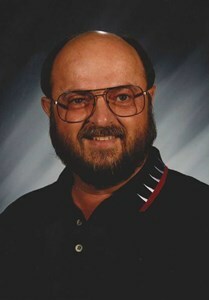 Newcomer Family Obituaries - Charles F. 'Chuck' Woolery 1946 - 2019 - Newcomer Cremations, Funerals & Receptions. Woolery, Charles F ‘Chuck’, 72 of Riverside, Ohio passed away February 7, 2019 at Soin Medical Center. He was born July 6, 1946 in Dayton, Ohio. Chuck retired from Mad River Local School District after 30 + years of teaching and coaching. Chuck starting coaching girls’ basketball at Spinning Hills Junior High. Chuck was the assistant head coach of Stebbins girls’ softball team helping to lead the team to district runner-up in 1981. Chuck was head coach of Stebbins High School girls’ volleyball team leading the team to District Runner-up 1981 and District Champions in 1988 and being named Coach of the Year. Chuck also coached St. Helen School youth soccer, basketball and baseball. He also was the assistant boys’ volleyball coach at Carroll High School. He graduated from Tipp City High School in 1965, the University of Dayton in 1974 and in 1976 earned his Master’s Degree from U.D. Chuck served as a Sergeant in the USAF 6917th Security Group stationed at Clark Air Force Base in the Philippines and San Vito Dei Normanni Air Station, Brindisi, Italy from 1965 – 1969. After being Honorable discharged, he attended the University of Dayton. He was a member of Peace Lutheran Church, Beavercreek, Ohio. He loved fishing in Michigan, traveling, reading and playing golf, attending the OSU Buckeyes football games and was part of the University of Dayton Flyer faithful. He was also a Cleveland Browns and Cincinnati Reds fan. To keep busy after retirement, Chuck took a part time job with the Dayton Auto Auction until 2013. Chuck was preceded in death by his parents, Charles Franklin Woolery Sr. and Elizabeth Ann Holler; Step-Dad George Rees of Englewood, Ohio; and brother Nicholas ‘Nick’ Woolery of Norfolk, Virginia. He is survived by his wife of 46 years, Joye S. Dafler Woolery; son Christopher Allen Franklin Woolery; sister Barbara ‘Barb’ Gorrell; and various nieces and nephews. Chuck was a devoted husband and father who will be dearly missed. A Celebration of Chuck's life will take place on Sunday, February 24, 2019 from 2-4:00 pm at the Milton Athletic Club. To share a memory of Chuck or leave a special message for his family, please click the Share Memories button above. Add your memories to the guest book of Charles Woolery. on your loss. I worked with Chuck at the Mad River schools in the MREA. He was a dedicated teacher and a member of MREA with a keen ability to read contract and board policies. We lost him to soon. May he rest in peace. Sincerely Esther Wright. I went to school and graduated with Chuck. Sorry to hear of his passing.. My thoughts and prayers are with your families. So sorry to hear of Chuck's passing! We went to school and graduated together. Lot of water under that bridge since then but the memories are great. Will be praying for the family. This saddens my heart.. Mr woolery was a very devoted man to all the students that he taught.. He was my P.E teacher at Virginia stevenson elementary in the 80's.. My deepest condolences to all his family an friends.. You will be deeply missed MR WOOLERY.. "Rest high on the mountain"
I was saddened to hear the news of Mr. Woolery's passing. He was my gym teacher in elementary school. He was very encouraging. Then many years later to my surprise I found myself working with him at BG until his retirement. He touched so many students lives in positive ways. I am so sorry for your loss! May God give you peace as you continue your journey here! I was sorry to hear of Chuck's passing. We enjoyed our golf outings and I will miss those times. May you find peace in your good memories. Chuck was my Asst Volleyball Coach at Carroll High School. I love that man. He was always so dependable and supportive of the Boy's Volleyball program. Joyce and Chris, may God bless you and give you comfort at this difficult time. Chuck was my volleyball coach at Stebbins H.S. He had such a positive impact on my high school experience. He was a wonderful coach, so encouraging and supportive. I am so sorry for your loss, and hope you find comfort in fond memories and knowing how much he was loved and admired by others. Mr. Woolery was both my high school volleyball coach and after graduation I coached alongside him. Some of my fondest memories are the years I spent in the Stebbins High School gym with him as both coach and mentor. It was absolutely my honor to have known him and like so many others, I'm saddened to hear the news of his passing. My condolences and blessings to Joye and Christopher. Please know that with every year he spent teaching and coaching, he created memories for all of us that will live on for a very long time. That's quite a legacy.